Former Turkish model and actress Arzum Onan opened an exhibition at the Tophane-i Amire Culture and Arts Center in Istanbul. The exhibition ‘Woman,’ made up of sculptures made of materials like stone, wooden, metal, bronze and marble, will run through Oct 14. Onan created a sculpture for the Saturday Mothers of Turkey and that work of art was appreciated by many art lovers. 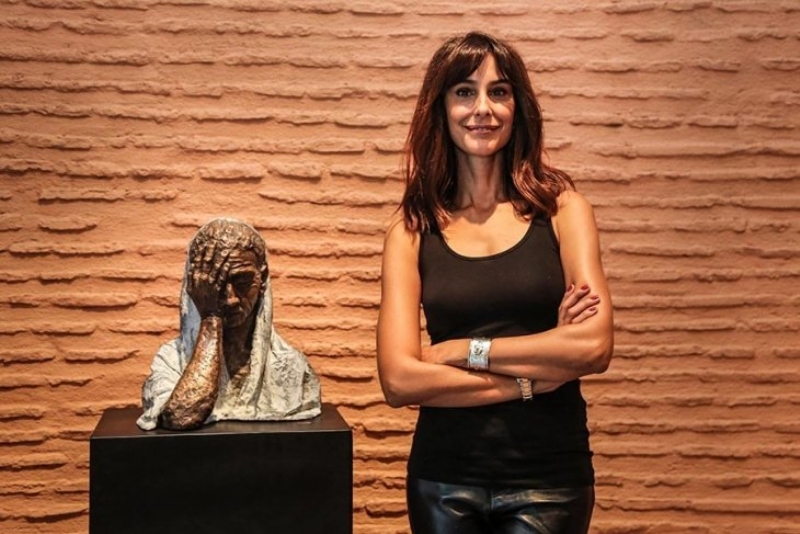 Arzum Onan conveys the struggle of women's lives in different works such as bronze, wood, marble, metal and glass.